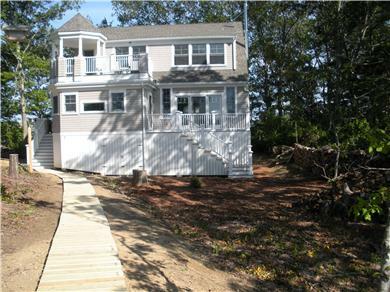 Private Island Home, Accessible by Boat Only! 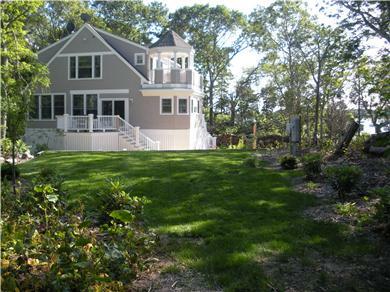 Beautiful home built in 2008 on Bassetts Island, one of only 6 homes on the island. Boston Whaler to access island included in rental price. Boat slip and parking at Kingman Marina. Boating experience required! 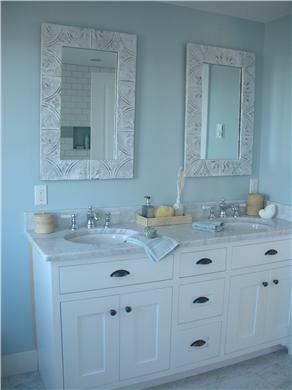 Enjoy 360 degree waterviews. 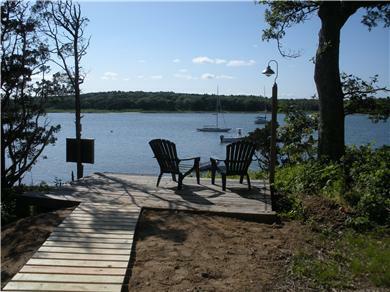 Located on the west side of the house is 500' private beach on Pocasset Harbor and on the east side of the house is 475' private beach on Red Brook Harbor. A birdwatchers paradise. This open floor plan living/dining has all the amenities. If you need to get away from it all this is your dream. 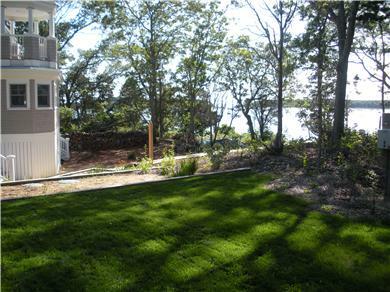 Total privacy yet located in the middle of one of Cape Cods busiest harbors. Explore the many beaches and local harbors with kayaks that are included in rental. 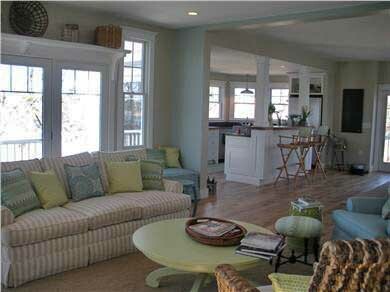 Walk the beach right outside your front door or sit in a beach chair and enjoy a drink. 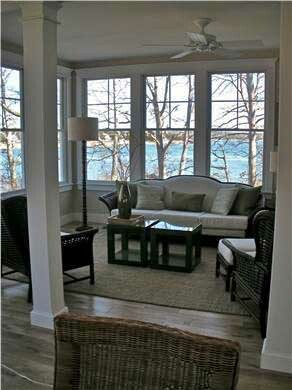 Watch the boat traffic pass by both sides of the island from one of the homes 4 decks. 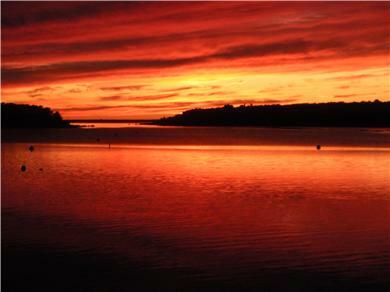 View the sunrise over Red Brook Harbor and set over Pocasset Harbor. Priceless! Beautiful home. 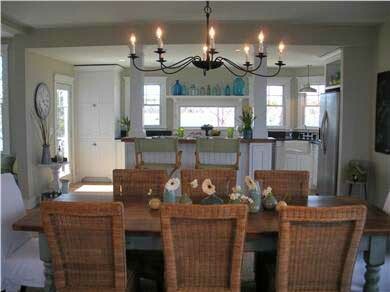 Large and very open concept. Great finishes and very comfortable. 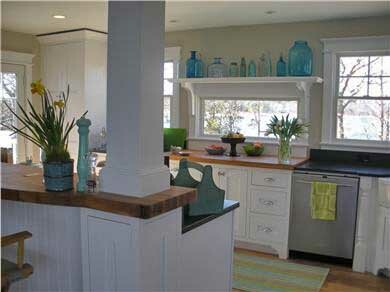 So many windows, the ocean breeze rips through the well laid out home. Very peaceful and relaxing location for those that enjoy a fairly isolated spot (like me). Brothers, Rich and Bob Warner, were warm and hospitable hosts and very accommodating to my family. As many have written before, their pictures do not do this home justice. 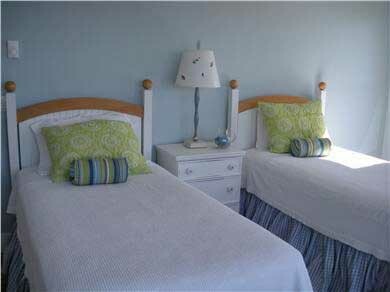 Simply the finest vacation offered on Cape Cod. Our family vacationed on the island the week of July 4th this year (2011). My 12 year old daughter said, "The pictures are nice, but they don't do it justice; it's so much nicer in person. " The view of the sunsets from the front of the house were spectacular. We took the family to the south end of the island for a fantastic experience on the beach, approachable only by boat. The beach was exceptionally clean, no need to pay or worry about parking, it's as easy as dropping anchor. Out the back of the house there's a beach you can also walk to. We suggest you try what we affectionately called "South Beach" at least once while on vacation, the south end of the island is worth the extra effort. The children found plenty to do from island and beach exploration to kayaking in the morning hours. The house itself was awe-inspiring. 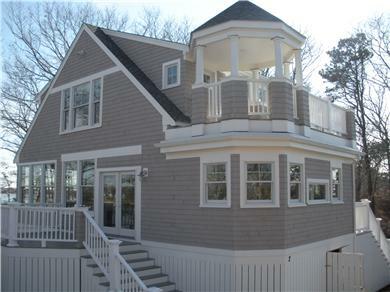 Some locations on the cape offer a water view, it's hard to find a window in the house that doesn't offer a water view. 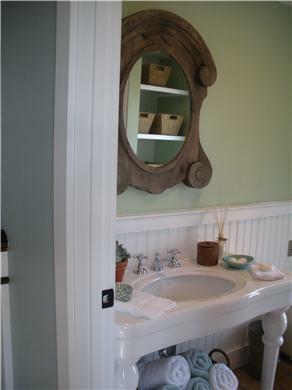 The house is new, very clean and well appointed. We found everything as the pictures show but as my daughter says, its far nicer in person. The Warners were very gracious hosts, this was our first introduction to them and the house. We know you'll enjoy the stay.